When Kari Kampakis wrote a blog post in July 2013 titled "10 Truths Young Girls Should Know," the post went viral and was shared more than 65,000 times on Facebook. Obviously her message strikes a chord with moms and dads across the country. 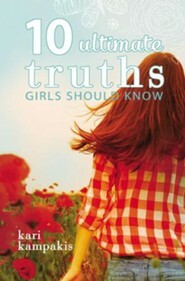 This nonfiction book for teen girls expands on these ten truths and can reach the hearts of both moms and daughters. 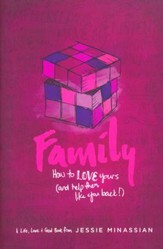 Teen girls deal daily with cliques, bullying, rejection, and social media nightmares. Kari Kampakis wants girls to know that they don't have to compromise their integrity and future to find love, acceptance, and security. These ten simple truths can build one big change in your daughters life. When Kari Kampakis wrote a blog post in July 2013 titled 10 Truths Young Girls Should Know, the post went viral and was shared more than 65,000 times on Facebook. Obviously her message strikes a chord with moms and dads across the country. This nonfiction book for teen girls expands on these ten truths and brings a Christian message to the hearts of both moms and daughters. People peak at different times of life. Trust Gods plan for you. Get comfortable with being uncomfortable. Otherwise, youll never stick to your guns. Todays choices set the stage for your reputation. 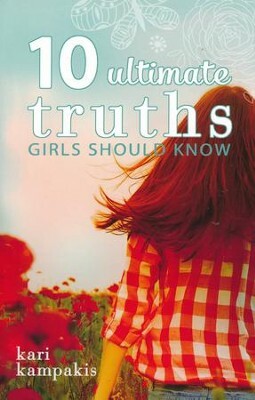 I'm the author/artist and I want to review 10 Ultimate Truths Girls Should Know.